Vivo has announced a new smartphone in the budget segment called as the Z1 Lite. The handset is a new addition to the companies Z series and it will be available in Red, Black, and Aurora color variants for now. The smartphone will be coming with 90 percent body to screen ratio and thin bezels of 1.75mm. The device is priced at 1098 Yuan (approximately US$ 159, Rs, 11500) and is going for sale in China. The handset has a metal and glass design on it giving an elegant look and feel. There is a 32GB of onboard storage which could be extended further up to 256GB via microSD card slot. Out of the box, the device will come with Android 8.1 Oreo operating system based on Funtouch OS 4.0 and might be getting further updates also. There is a 16MP camera on the rear with LED flash and a secondary 2MP front facing camera. On the front, the company has provided a 16MP camera sensor that comes with face beauty and face unlocking also. On the rear, we can see a fingerprint sensor and the device is powered with a 3260 mAh battery which might support fast charging technology. The handset measures 154.81 mm x 75.03 mm x 7.89 mm and weighs 150 grams. 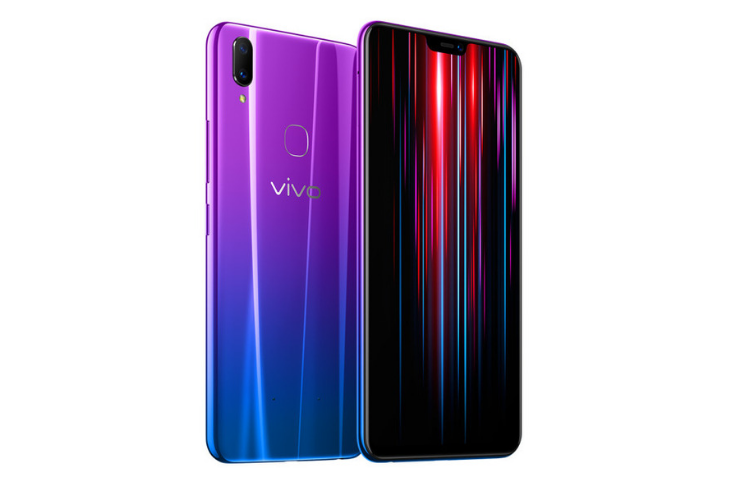 Are you planning to but this budget fringy device from Vivo? Comment in the section provided and do share your views. Stay tuned to Android Advices for more updates.